If youÂ?re looking for a quality HPS system at a very affordable price, this Xtrasun kit fits the bill very nicely. It combines the Xtrasun II Aluminum Wing Reflector with our SG 1000W 120V/240V convertible ballast and an Xtrasun 1000W HPS lamp all in one box! The Xtrasun II Wing Reflector offers excellent performance at a cost-effective price. It is made with highly reflective aluminum and offers wide and bright light delivery. The SG ballast is built to last and features our patented Lock & Seal plug system design that allows electrical contact to happen only when a seal is achieved. As a convertible ballast, it also allows you to operate both HPS and MH lamps. 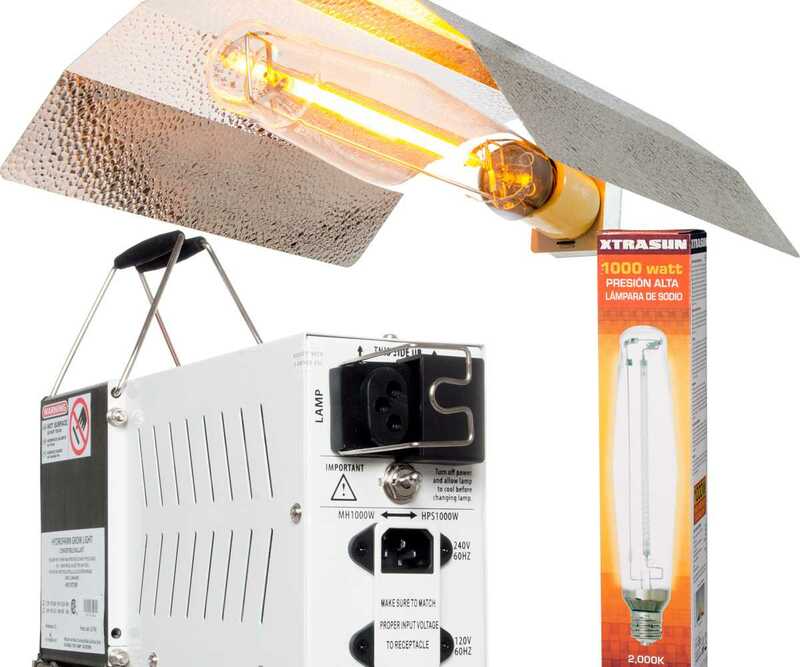 The included Xtrasun 1000W HPS lampÂ?s 2000Â° Kelvin color temperature consistently provides intense light in the correct spectral range for vigorous flowering growth.